My dear friend Annie Stein, a writer who often contributes to the Huffington Post, wrote this story about her experiences after my last visit to Los Angeles where she lives. I wanted to post it here as it touches on 3 things that are key to our health and happiness (ok, ok, I get a mention or 2 in the story as well!). I refer to the 3 things in the title. What is more important to our well being than love and friendship? Above all things this is paramount. When we are young we all have hobbies, pastimes, activities but as we grow in years and responsibility, there seems to be less and less time for this. I think hobbies, where we while away the hours, don’t think about our problems and are immersed in something we truly enjoy are vital to good health. And then there is the tomato! What would life be without tomatoes? What salad would be complete? What pasta sauce? The tomato is bursting with vitamins and goodness. It has vitamin A, C and E, flavanoids (anti-inflammatories), potassium and mineral salts to name just a few of it’s nutrients. 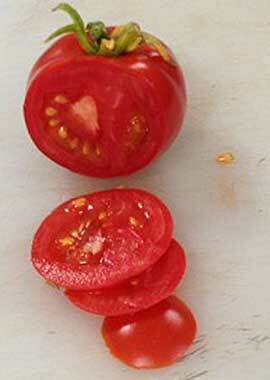 Lycopene, an anti-oxidant, which gives tomatoes it’s colour, is incredibly beneficial. Besides helping to mop up damaging free radicals it may even help to ward against a number of different cancers. Lycopene is even being used in “beauty pills” due to a study carried out at Charite University in Berlin which discovered a link between lycopene based supplements and smoother, less wrinkled skin. Need I say more? Years ago, before my second child was born and I traded in my pay check as a free-lance fashion stylist to change diapers, drive car-pool and be the soccer snack provider, I used to joke that the only way I got to hang out with my friends was to work with them. So I hired my friends as assistants when I could. On a more serious note, I also said, back then, that the best way to find out who someone is, is to work with them. I’m now adding to that; want to know who someone is behind the dinner party chatter, or as an English friend used to say “What’s that when it’s at home?” Share a garden. Last fall, at a lunch for my best friend Glynis, in town from her home in London with her husband Michael, the girl talk went from comfy Prada platform shoes to ‘bumper crops”. Glynis, obviously in love with the expression, which did indeed sound fabulous and a bit mysterious in her proper English accent, took delight in repeating the words “bumper crop” as she shared a picture on her iPhone of the largest tomatoes I have ever seen. “Mark has had a bumper crop, here look, isn’t it fantastic?” so taken was she about our mutual friend’s husband, Mark’s tomato growing talent. Mark is known to us all as an entrepreneur, a rakish risk taker, a stylish man about town, a typical A type-er on the go. He has opened restaurants, managed his wife Laura’s jewelry empire and invested in copper mines. Mr. Greenjeans? Not in the profile at all. “Look, he’s a bloody farmer” Glynis added with unabashed respect …and total surprise in our friend Mark and the tricks he has up his sleeve! “Hmmmm, let me look at that” said I reaching for the iPhone with the picture of what looked to me to be a small red pumpkin. “Whoa…now that is not a natural act” I said turning to Laura, Marks’ wife, shaking my right hand and my head simultaneously as if to say, no way, what’s the story here, as the iPhone went around the table eliciting oohs and ahs from the rest of the gals. It was then that the lovely well dressed table of uptown girls sporting Jimmy Choos on their feet and gold bangles on their wrists broke out and got loud and rowdy. Over a tomato! Still not done with her love affair with the sound of “bumper crop”, Glyn repeated it several more times as the iPhone made its way back to me. Damn, I thought, mesmerized by the bright red perfection before me. For the past few summers I too have been planting tomatoes. When we renovated our house several years back and re-landscaped, all I cared about after the sea green glass tiles in my kitchen and the mirror above the sink that lets me look out into the hills as I rinse off the dishes, were the two wooden planters that lay like open caskets in my yard. I had such high hopes, remembering my mother’s tomato garden back in our yard on Long Island, New York years ago. I read books, talked to several knowledgeable nursery owners, bought organic soil. I talked to my plants and tended to them gently, lovingly. But I soon found out; love was not enough. There is planting and then there is protecting…Ah there’s the rub! Or the gopher, or rabbit, or hill rat, who also love living in my canyon and have no precious memories of my mother’s tomato garden, but love tomatoes just the same! Back at the luncheon at The Fig and Olive where appropriately the “bumper crop” discussion was holding record time, I heard Laura say something about moving. They had decided to “down size and give up their house for a great apartment on the Wilshire Corridor now that all of the kids are grown.” What? Was that the sound of opportunity knocking, or screaming? (bumper crop, bumper crop, reverberating over and over….) “Moving, you guys are moving to an apartment…what about Farmer Mark and the bumper crop? “Figured” said I in my most benevolent voice. I called Mark offering him my two planters and promised to be the best farm worker in town if he wanted to relocate his tomato operation to my house. No promises were made over the phone but by the next morning after stopping by to inspect the facility, a deal was reached. The excitement of what was to come got me through the rainy LA winter and by late March I started calling Mark. Don’t call me I’ll call you, was ostensibly what he said after about the fifth call asking when do we plant! And he did in early April. “I’ll be over early tomorrow morning….don’t do a thing till I get there” came the reply, kindly omitting the “what the hell did I get myself into” I heard in his tone. And thus began what we laughingly named Stein-Gellar Farms (said with a German accent!) last Saturday, toasting with Champagne before slicing into the first fruit of our labor! Our first ripe tomato. Round, red, perfect, not a blemish, not a worm, not a tooth mark anywhere to be seen. Just a round red ball of perfection saying eat me I’m yours to both Mark and me. We high fived and carried on like we’d won Wimbledon as our loving spouses and friend Sherri cheered us on. Then we broke open a bottle of bubbly, chronicled our first born and ate it with only a touch of salt and a sprinkling of pepper. It was in a word, sublime. This is the same word I’d use to describe getting to know my friend Mark over the last eight weeks. Being Mr. Bumper Crop, he, of course, has taken the lead but we both have our jobs and responsibilities in tending our garden. I text him daily on how “the kids” are doing and am responsible for the daily check ins; watering, leaf pinching and staking until he gets here and does it his way. My biggest job though, now that Mark has bathed the kids in his “secret sauce” (heavy in nitrates that help grow them big but attract culprits) is the night time safety of our kids. That is what, if you remember many paragraphs ago, did me in on my own. Every evening before the sun goes down I am out there armed with my weapons, not of mass destruction, I don’t have the heart for that, but of mass discouragement. The wire caging around the tomato plants resemble a man’s face that has been nixed by a runaway razor each morning, dotted with what looks like bits of toilet paper. Each evening I stick sheets of Bounce, the fabric softener, through the wire meshing and in the creases of the planter. I stick them under rocks along the base of the planters. Then I grab my spray bottle of Simple Green and spray along the edges of the planters. When that’s done , I go for the red pepper flakes and apply them liberally around the edge of the planters making sure that there is a lush carpet of red flakes surrounding the planters. All of which I’ve learned over many hours of googling safe ways to rid ones garden of varmints. I do not put my head on the pillow until I feel safe that if the sweet scent of Bounce won’t keep the critters away, a hot scorching on a tiny tongue will! The whole venture is in a word, a blast! And the best part, other than the yummy taste of a home grown, pesticide free perfect tomato, has been getting to know my pal Mark through working on the garden with him. Working side by side turning soil, digging up weeds, shooting the breeze, about his kids, mine, summer plans, how his wife’s product line is doing, how his copper business is doing, what I’m writing lately, has been the icing on the cake! It’s been heart lifting to have him walk into the garden on his twice weekly trips and ask how “our girl” is doing referring to my 17 year old who he has witnessed through eleventh grade finals this year and has come to have fond feelings for. Again, I was struck (and gifted) by the level of bonding that can occur when working with a friend that is so much deeper than the usual social interactions of a party or dinner in a restaurant. Toasting to and sharing our first tomato Saturday morning with Mark, Laura, my husband, Jeff, our mutual friend, Sherri, and our daughter, Romy, was one of those special moments for me that will bring me joy every time I remember it. In keeping with a theme that has occupied me for months and one that I’ve written about several times, our “bumper crop”, however it turns out to be this year, will be the result of a community effort. And that friendship and sharing the fruits of our labor and our love, may very well be the real “bumper crop”.